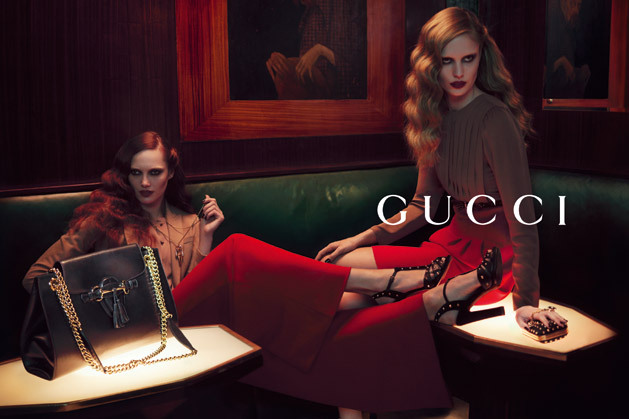 The campaigns that matter most have spoken, unveiling a new generation of top model contenders accompanied by industry veterans for the Fall/Winter 2012 season. Prada enlists photographer Steven Meisel to capture the enigmatic beauty of Norwegian model Iselin Steiro, Anne Vyalitsina and Magdalena Frackowiak combined with the youthful effervescence of newcomers Madison Headrick, Elza Luijendijk and Vanessa Axente. Headrick, Axente and Luijendijk all landed positions in my Top Ten Newcomers List for the Fall/Winter 2012 collections and have also clearly gotten Muccia Prada's stroke of approval with this blue chip campaign coup. Givenchy taps into the youthful energy of rave culture with modelling icon Stella Tenant busting a move alongside rising star Joan Smalls, and newcomers Stef Van der Laan and Daniela Braga. Smalls attributes a major part of her evolution as a model to Riccardo Tisco, who gave Smalls her first big break by casting her to appear as an exclusive in the Givenchy Spring 2010 Couture show. 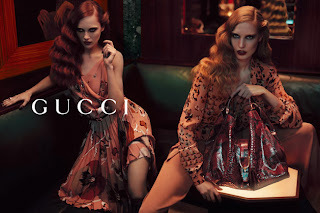 Tisci's endorsement should garner Dutch ingenue Van der Laan and Brazilian bombshell Braga, the kind of attention that will distinguish them amongst the sea of newcomers. 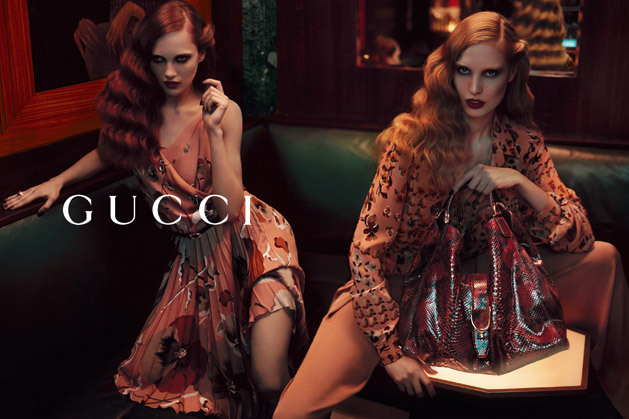 With styling by Carine Roitfeld and photography by Mert Alas & Marcus Piggott, you can expect Tisci's latest campaign instalment to be at the very forefront of fashion and modelling trends. Gucci turns up the heat for Fall/Winter 2012 with the sultry Karmen Pedaru leading astray new face Nadja Bender. Lensed by Mert Alas & Marcus Piggott, Pedaru and Bender look equally beguiling as they make like lounge lizards in a drinking salon accompanied by various male talent. Bender snagged the number one slot on my list of Top Ten Newcomers for the Fall/Winter 2012 season and has since converted that runway traction into pure editorial gold with riveting appearances in Paris Vogue, French Numéro and Dansk. 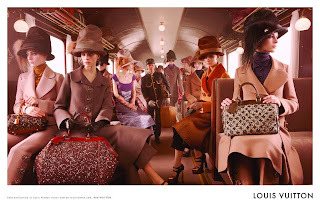 Louis Vuitton recreates the distant romantic glamour of travel with its locomotive-inspired Fall/Winter 2012 campaign starring a new generation of models. 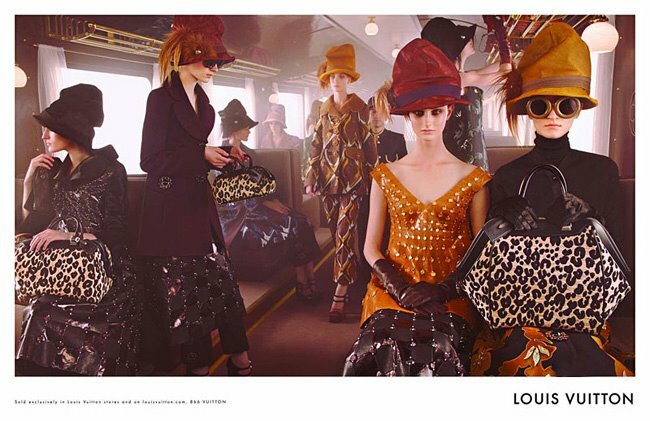 Aboard for the journey are newcomers Julia Nobis, Erjona Ala, Franzi Müller, Mackenzie Drazan, Marie Piovesan, Ros Georgiou, Magda Laguinge, Hedvig Palm, Marina Heiden and Elena Bartels. 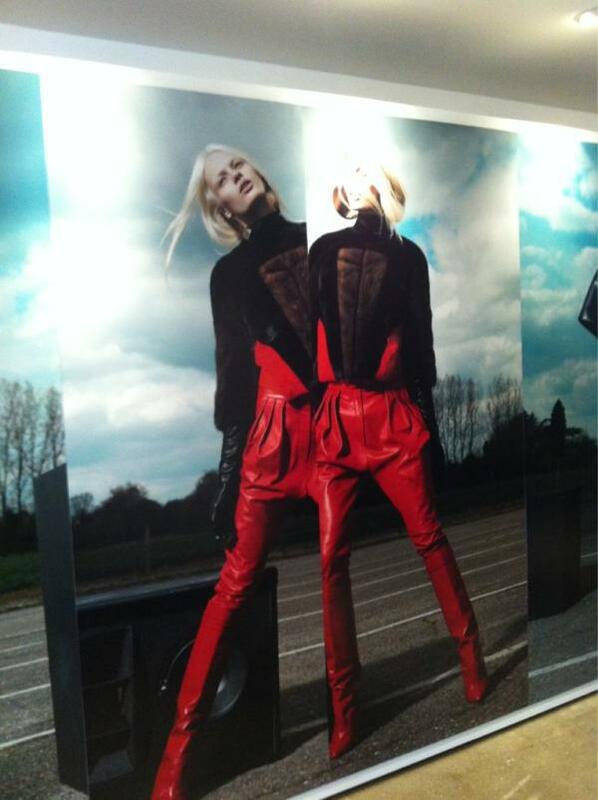 Amongst this extensive cast, I am particularly delighted to witness Australian model Julia Nobis snagging her first major blue chip campaign appearance, following two consecutive seasons in which she earned her runway stripes with the most number of show appearances out of any international model.